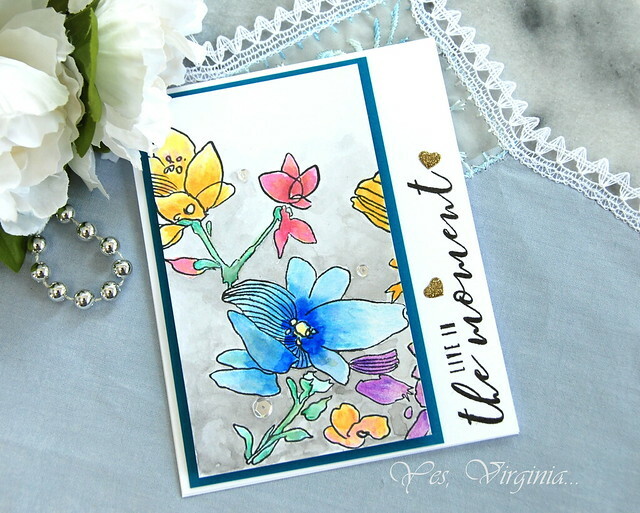 I have been meaning to play with Sketch Floral Clear Stamp and finally got around to it. This image is the largest that I have ever come across. The floral image comes in one piece! 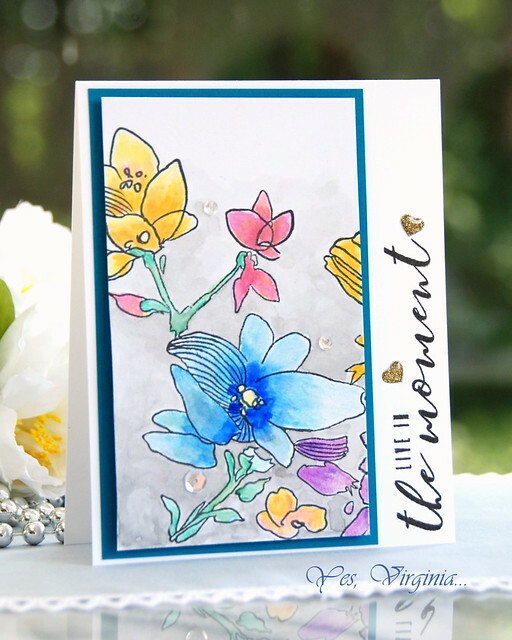 This large floral image allows you to stamp in any way you like and color in any way you like. I was in need of some coloring therapy...this large stamp was the perfect anecdote. 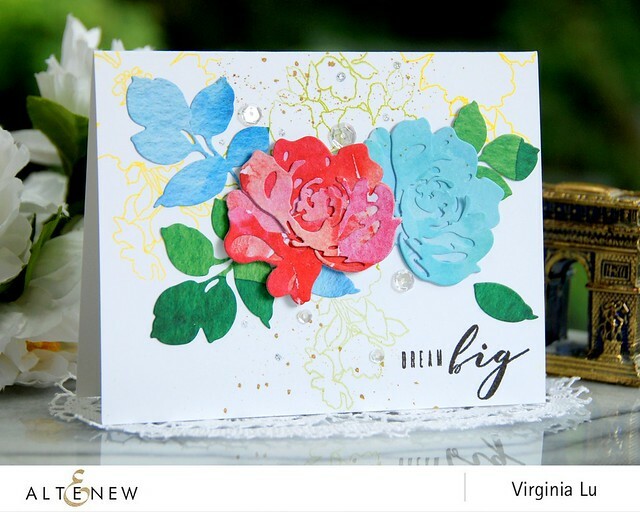 I stamped the image with Altenew's Permanent Black (shop Altenew here, SSS here). This ink is formulated to work with Altenew Artist Markers or any alcohol-based markers. However, it also works with the watercoloring! I didn't need to clear-emboss the black outline and just went ahead and colored the images. No color-bleeding or smudges at all. I highly recommend that you color a smaller area (to test out the water, so to speak) with a large image like this one. I have always wanted to use a bit of grey in the background...I tried it this time and loved the result. The sentiment from "More Than Words" fits quite nicely with my mood! It's my privilege to share my humble work with you in this blog....just want you to know that. Today's last day for getting re-inkers for 15% 0ff! See what's new here, what's on sale here. 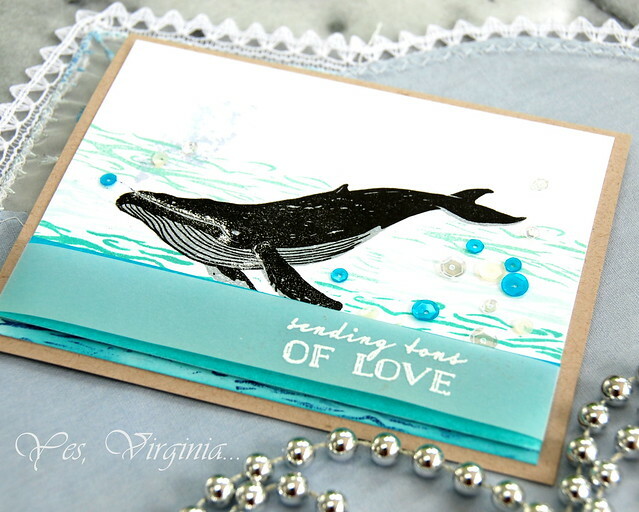 For my project, I am using Hero Arts Blue Whale Stamp set. 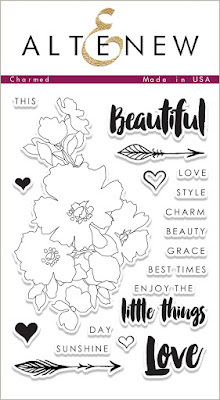 This is such a fine stamp set fro creating encouragement, thinking of you and masculine cards. 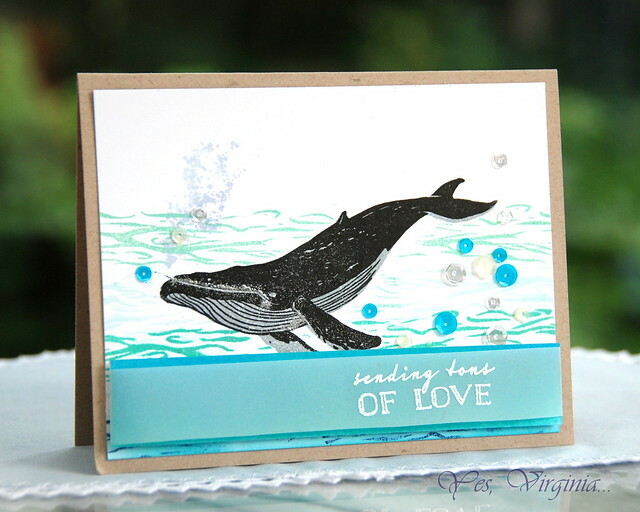 I love how EASY it is to line up to stamp this beautiful whale image. I decided to add a piece of vellum to give it some light...and life. He was impressed with this card! And he is one that is hard to impress! BTW do check out SALES items over Simon Says Stamp if you love deals! The code "Cheery" still applies (till tomorrow)! Quite a few items are sold out already, so if you see something, act FAST!! I always have fun looking/shopping there. 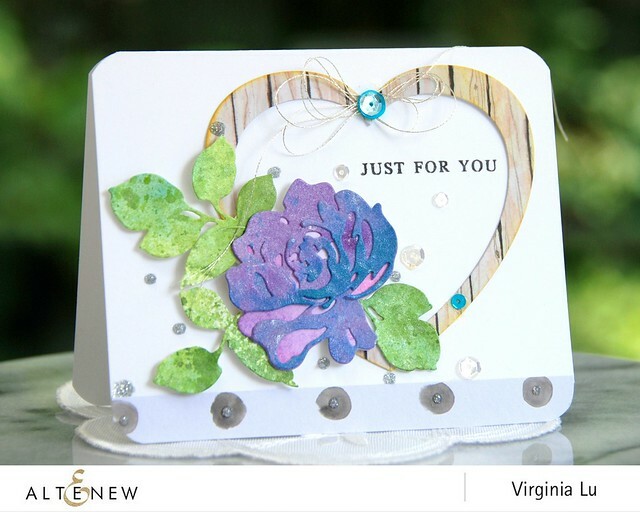 It's my turn to share some projects with you over Altenew Card Blog. Ever since I got the new die Fantasy Floral, I simply could. not. stop. playing. The first card is actually the easiest one. The 6x6 Reflection Paper Pad is really handy for die-cutting. You see, the beautiful pattern paper does all the work. The WOW factor? The subtle stamped background. 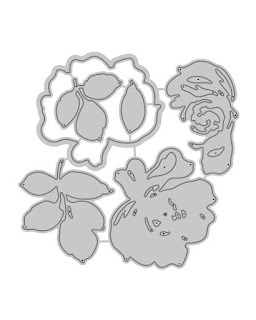 I love the delicate image from Charmed Stamp Set. It has just the right amount of lines and space. 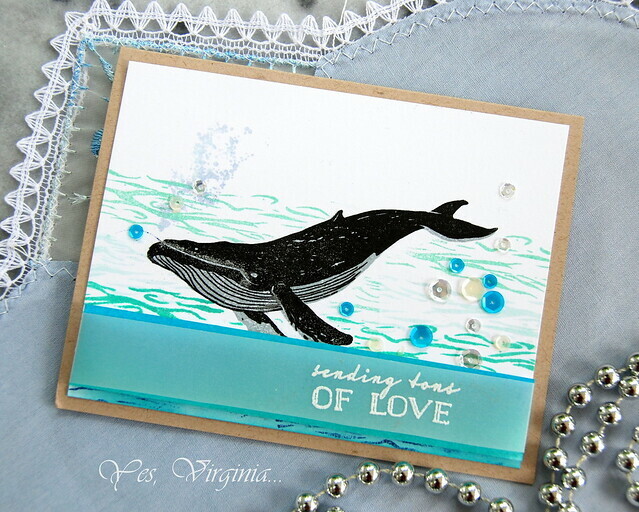 The sentiment from "More than Words" completes the design. 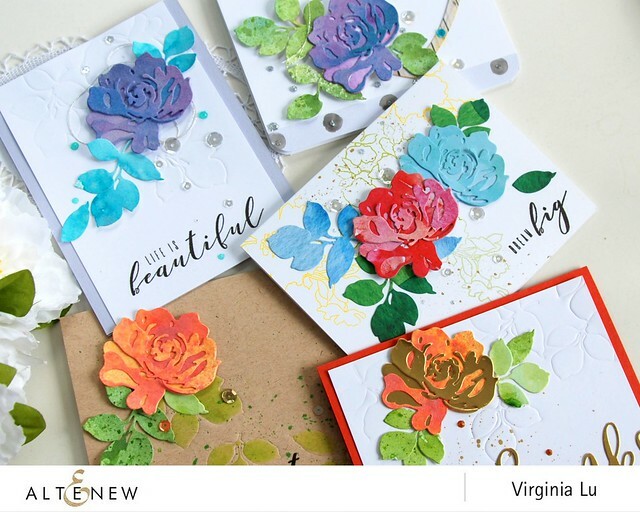 Another great way to create colorful die cut pieces is using the Altenew Metallic Shimmer Ink Sprays. And that's how I created the Fantasy Floral die cut pieces in my 2nd (and 3rd card). 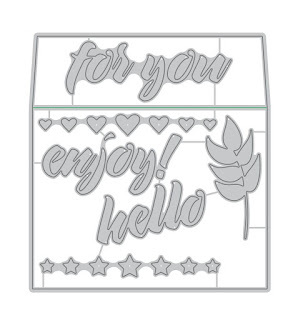 The WOW factor in this is that the heart die paper with Reflection Paper Pad. The Halftone Hearts Nesting Die Set is just the ticket! or as bundles over Altenew here. My next card is bright with a Midas Touch. The Gold Foil Card Stock is the shhhhhh.... "secret weapon". Doesn't it make you go "WOW"!!? I love the leaves from the Shimmer Sprays as the misting gives such an organic feel. Notice the dry-embossed details? 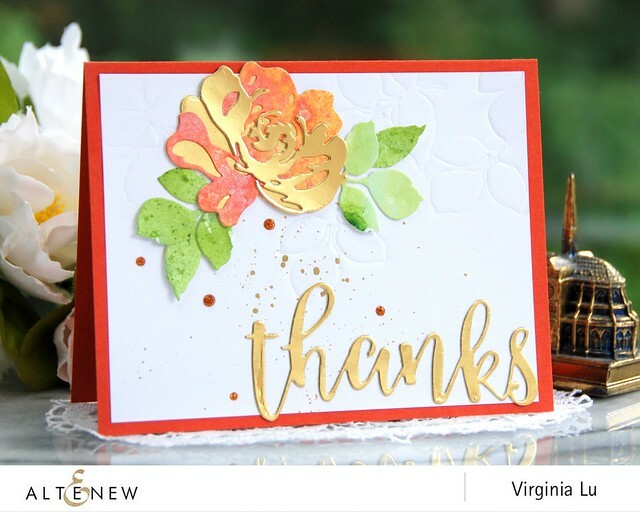 I used the leaf dies from Fantasy Floral with a Spellbinder Tan Mat and ran it through my die cut machine. It works like a charm! The sentiment "Thanks" from "Script Words Die 2" surely makes quite a statement. My last card may look plain, but it really is not. The WOW factor lies in those colored leaves! I would consider doing a video on this if you are interested. 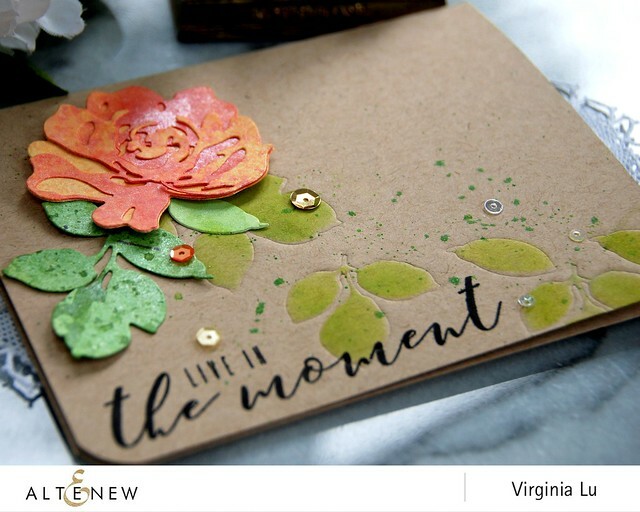 I used the negative piece (of the leaf die cut paper) as a mask and sponged the space with "Frayed Leaf Crisp Dye Ink" and "Olive Crisp Dye Ink". 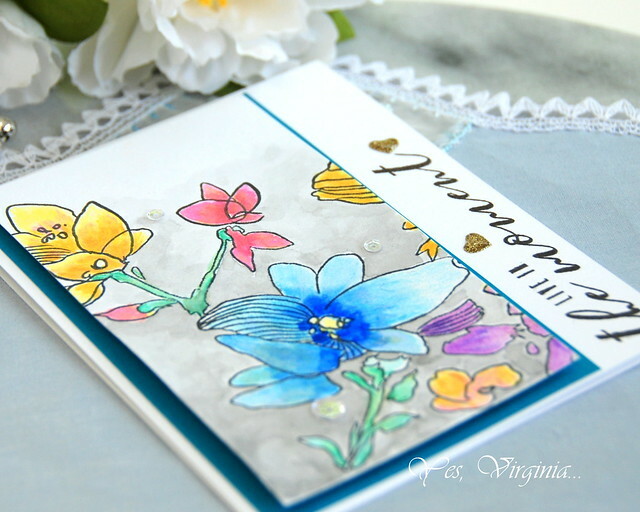 There are no special supplies, gadgets and tools required--just your stamps, inks and dies! 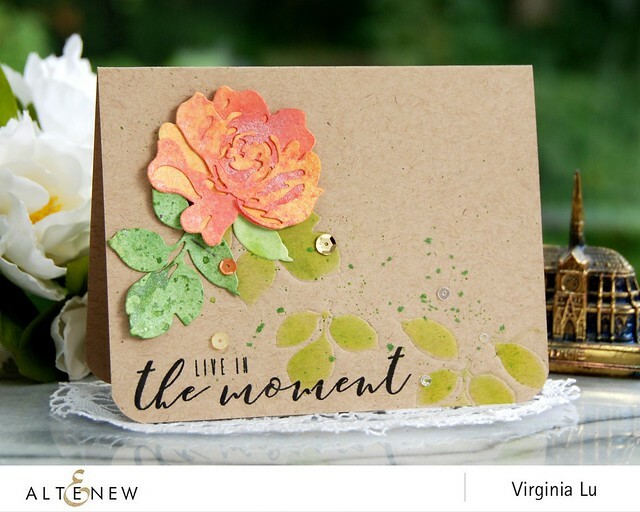 The sentiment from "More Than Words" Stamp Set enhances the overall design, too. Love that set. I hope today's post WOWS you a little bit and makes you want to create more and have fun! 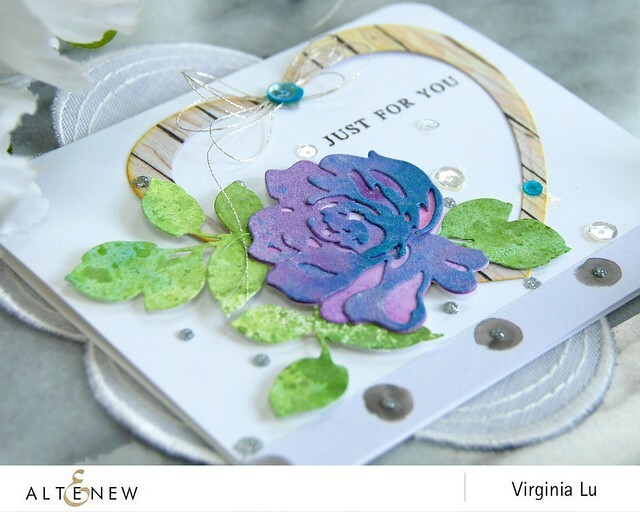 Here is an overview of all the cards I created with Fantasy Floral. 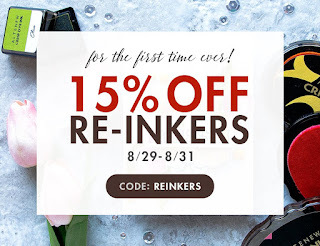 Altenew is having a sale of re-inkers! Use the code "REINKERS" and shop here. Shop early and grab the items as soon as you can. 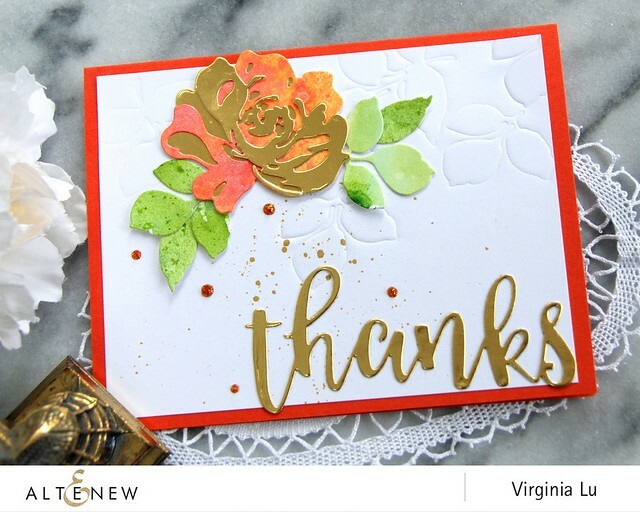 I would love it if you can leave me a comment over Altenew Card Blog. 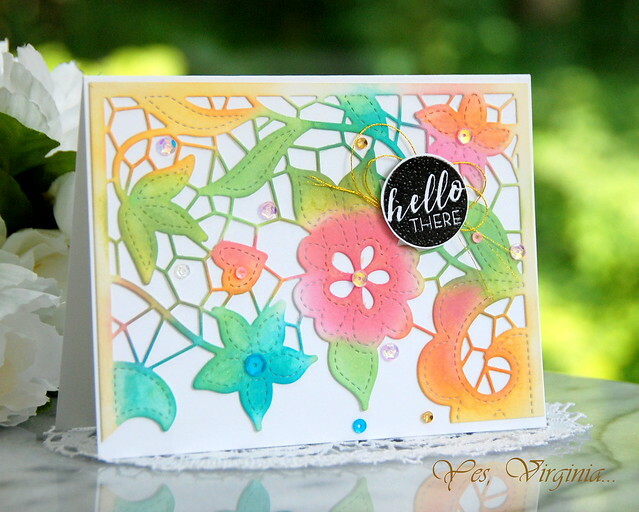 One Layer Wonder with "Charmed"
SALES ALERT---> take this chance to check out the SALES over Simon Says Stamp. I am popping in with a super quick post about this one layer beauty with "Charmed". 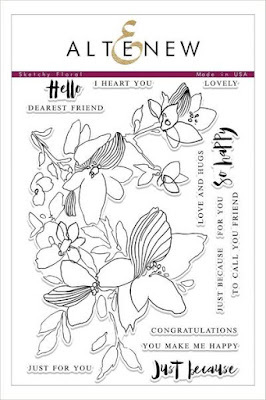 Ding---> Stretch your outline stamps: outline stamps are not always meant to be colored! 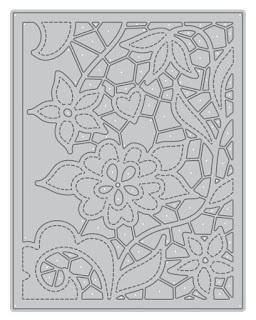 You can use outline stamps to create an intricate background, too! To keep the design interesting, I did Multi-Color Stamping with the sentiment and I made sure the font are in good balance. 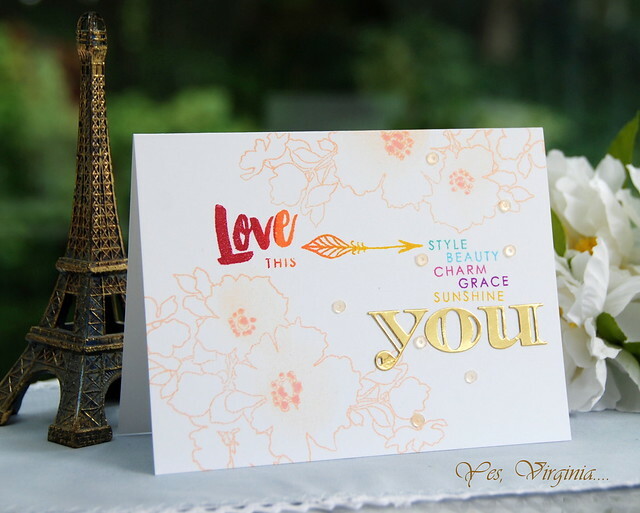 The sentiment "YOU" is a die cut from"Inline Alphabet"
I love Gold Foil Paper from Altenew. 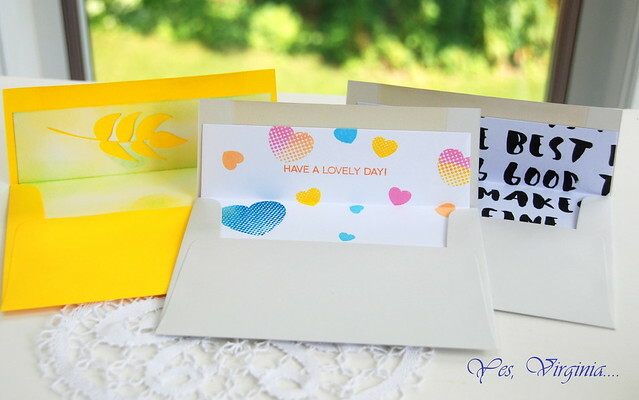 The sturdy Gold Foil Paper cuts beautifully every single time and a pack also lasts a long time. Again...SALES ALERT---> Don't forget to check out the SALES over Simon Says Stamp. The code "Cheery" (will take $5 off) still applies!! edited: Altenew is having 15% off of all the re-inkers! shop here and use code "REINKERS"
Today's the day to announce 3 winners of "Virginia's Summer Blog Party"! Yay! Early this summer, I asked you to share your summer creations and link them (maximum 3) up here in my blog. Well, your entries are awesome and apparently, you all had fun creating!! I promise to pick three winners (all random). You created such amazing cards with the new releases! 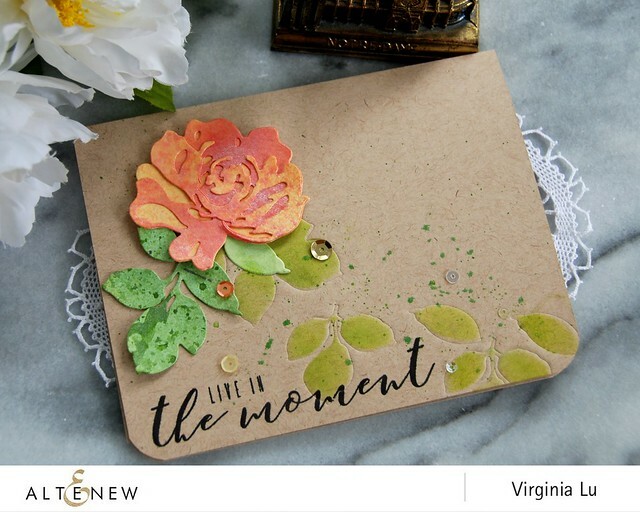 I love the last card you made with the Fantasy Floral dies with the shimmer spray... and yes I want to go and craft now... but right after I purchase some stamps from this release! 😆 Thanks for sharing your beautiful creations! Please claim the prize before Sept. 8th (11:59pm, Eastern Time). If I do not hear from you, another winner will be randomly selected. This new Altenew Envelope Liner is really handy! I made a few as they came together very easily. 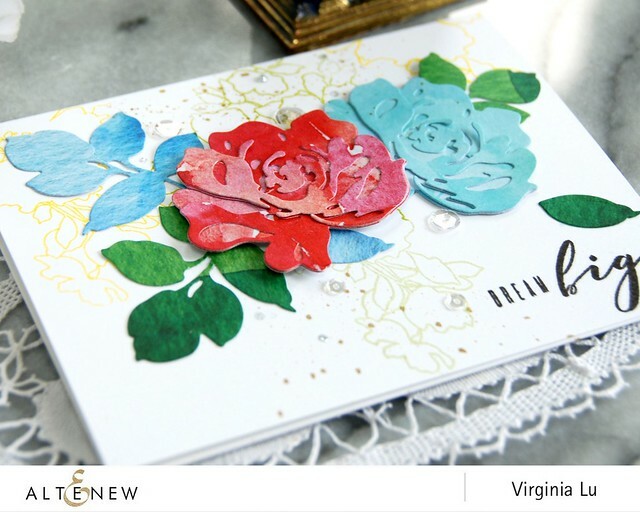 It looks even better when it matches with your stamped card! 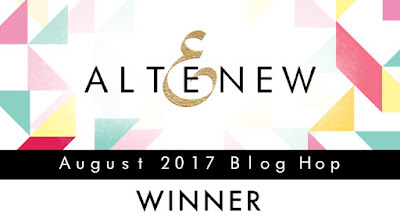 Thank you so much for your support, blog love and feedback. PS: If you want to watch something silly and amusing, here is a video of me playing a challenge/game during the British Isle Cruise this July. The rule? Do not answer the questions with the word "yes" and "no" within the 3-minute interview. I was actually one of the two winners out of 15 participants (gasp!!). 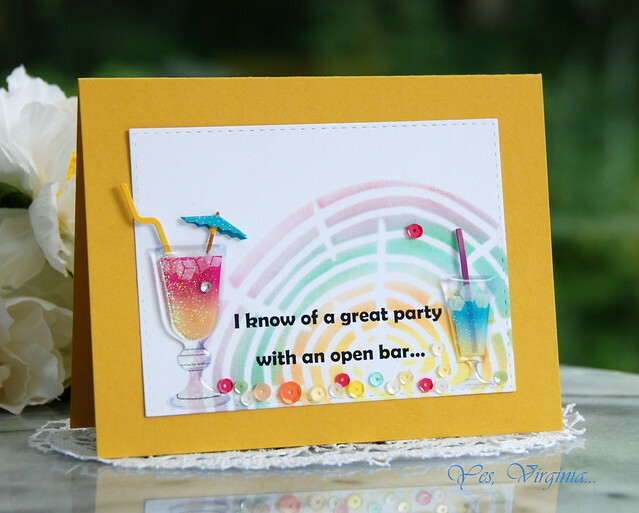 I am popping in to share some FUN cards with you. Today's customized cards are not quite all my ideas. Remember I was asked to create Wedding Party Invites? You can see my previous posts here and here, if you miss reading them. A quick trip to my local Michael's also helped...a lot! Those drinks you see on the cards are stickers! 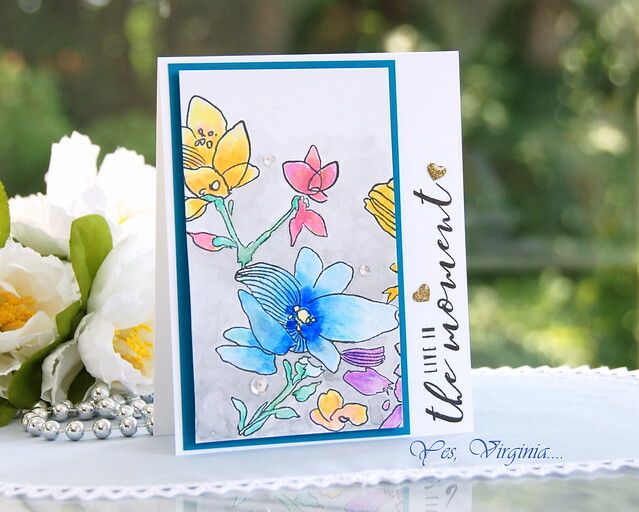 utilized the Grid Stencil in my 2nd card! I used just one tiny square from the Grid Stencil for the rainbow check list/marks! They are perfect for this purpose. AND when I tilt the grid stencil, I can follow the angle and made the check marks perfectly--score! I also used Halftone Stencil for the background on card stock. It goes with the bubble theme, right? I highly encourage you to look at your supplies before you rush to do any "impulsive purchases". We have never experienced that before, right? 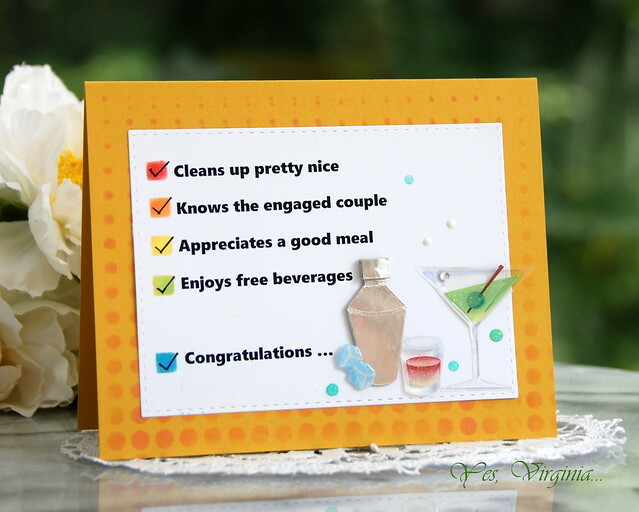 I almost thought I HAVE TO get drink/party-themed and checklist types of stamps FAST. One thing I found out is that I still do not have ANY types of stamps associated with drinking, wine-tasting... Maybe that is a good thing? If you feel like doing some impulsive shopping over Simon Says Stamp, don't forget to use the code "Cheery" to get $5 off! Please check it out here if you have not done so. There are Altenew Gift Cards giveaways! So, don't forget to enter a comment in that post. 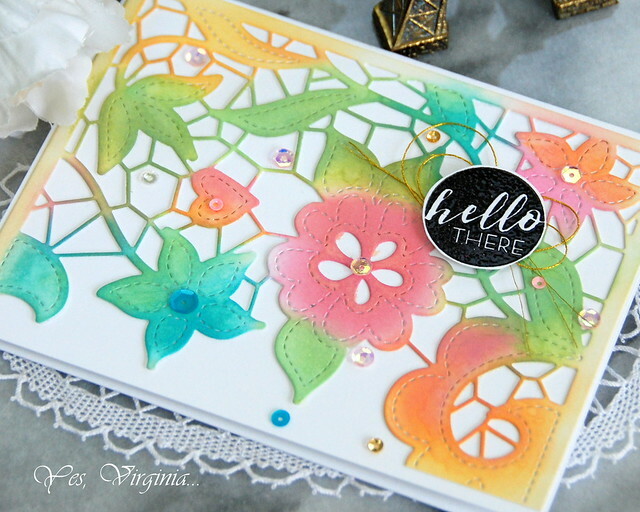 This is my previous card with this cover die for the blog hop. From the my blog hop comments, this die was the one that mentioned the most. Here are two main items that I used for my card today. 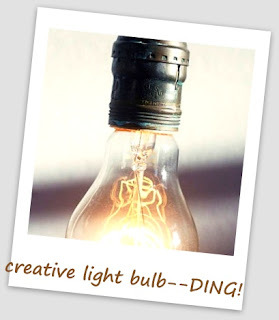 DING----> cover dies can be used in so many ways: you can use it horizontally, vertically; you can use part of it or use it entirely...or simply use tiny part of it. The sky is the limit. Hope this following example gives you some idea and inspiration. I simply went to town with Distress Oxide and applied colors to my heart's content. I decided that circle sentiment from Circled Sentiment is a perfect fit for this. 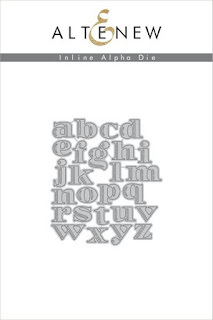 In my previous post...cover die guarantee instant inky success. This card proves just that. I so appreciate that you stop by and shop through my affiliate links at no additional cost to you. You support means a lot to me. Thank you! Concord & 9th Turnes TWO! 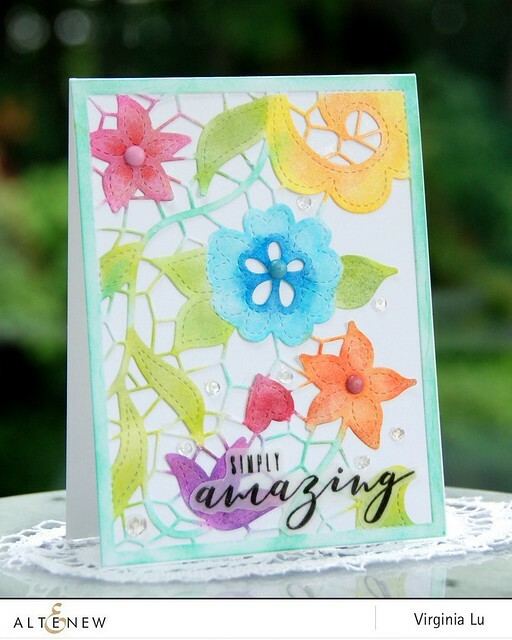 SSS August Card Kit (Take 2)!